When you want text to really stand out on a page, use WordArt to add outlines, shading, and other effects to your words. 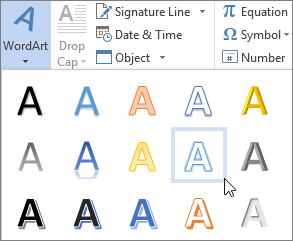 Select Insert > WordArt and select the option you want. 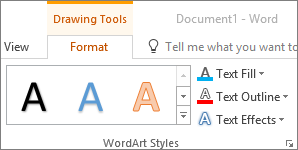 Select WordArt and select the option you want. Select Text Fill and select an option. 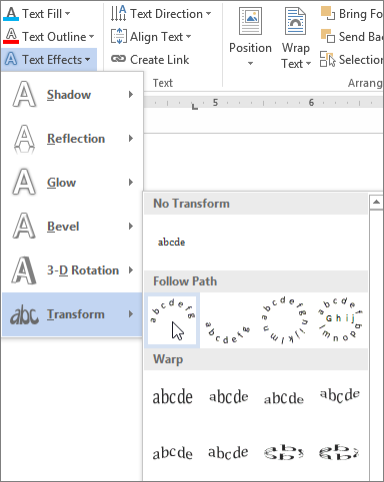 Select Text Outline and select an option. Select the rotation handle and drag it to rotate the text.